Applicable to UGEE UG1910B/ UG2150/ HK1560 drawing tablets. Built-in rechargeable lithium-ion battery and with USB charging cable, long working time and convenient usage. 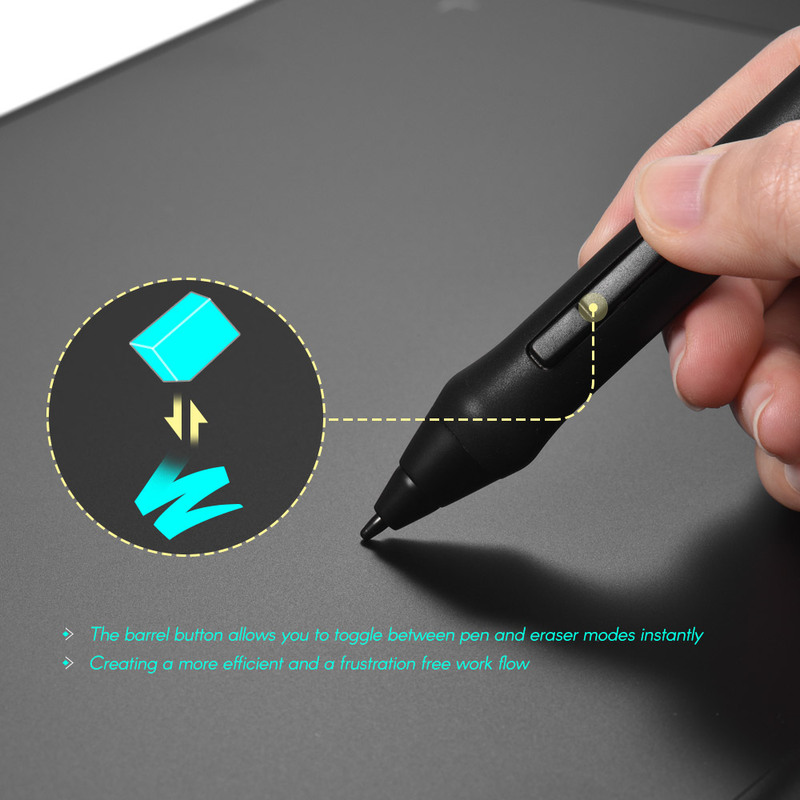 Works naturally and accurately, making lines flow smoother, giving you excellent drawing experience. The barrel button allows you to toggle between pen and eraser modes instantly, creating a more efficient and a frustration free work flow. Lightweight design with non-slip rubber cover ensures comfortable and stable grip for drawing. The drawing tablet showed in the picture is not included. 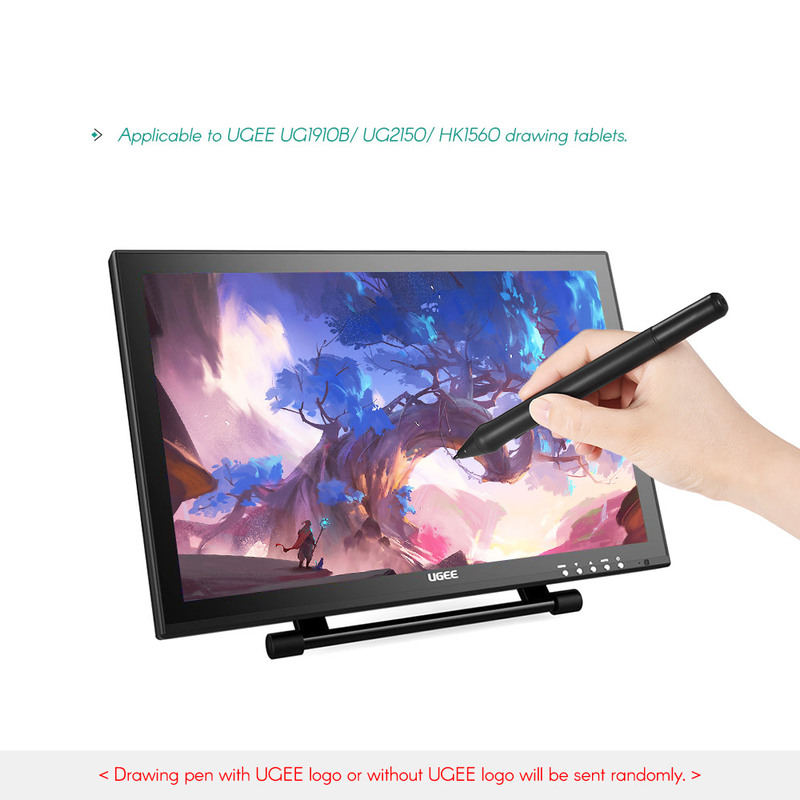 Drawing pen with UGEE logo or without UGEE logo will be sent randomly.